The NYPD said Saturday that Marc Gomez, 36, was charged with several counts of assault and harassment. NEW YORK — A suspect is in custody for the brutal attack on an elderly woman on a subway train in New York City, the New York Police Department said on Saturday. 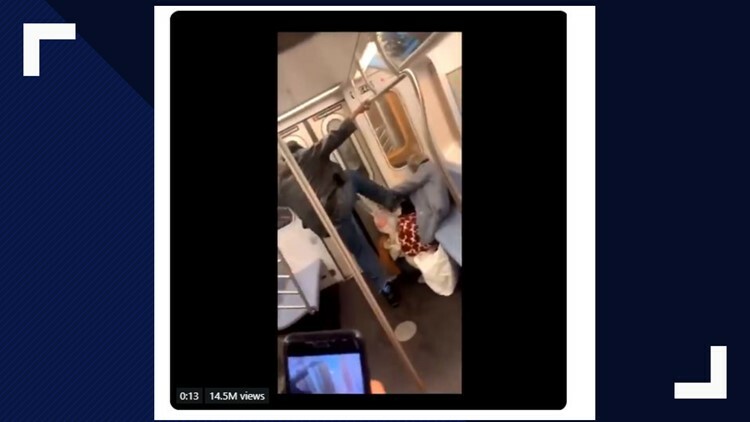 In video that was posted online, the suspect walked up to the 78-year-old woman and kicked her in the face multiple times before exiting the train. The victim was treated at a nearby station for cuts and bruises to her face, CBS New York reported. Video that was posted online of the attack was viewed more than 11 million times. NYPD Chief of Detectives Dermot Shea tweeted that the attack happened on March 10, 2019 at Nereid Ave Station in the Bronx. He was apprehended on Saturday, Shea said. "Thank you to the worldwide community for the tremendous assistance," Shea wrote.